“I no sooner perceived myself in the world,” wrote English philosopher John Locke, “than I found myself in a storm.” The storm of which Locke spoke was the maelstrom of religious fanaticism and intolerance that was tearing apart the social fabric of European society. His response was A Letter Concerning Toleration (1689), arguably the most important defense of religious freedom in the Western tradition. 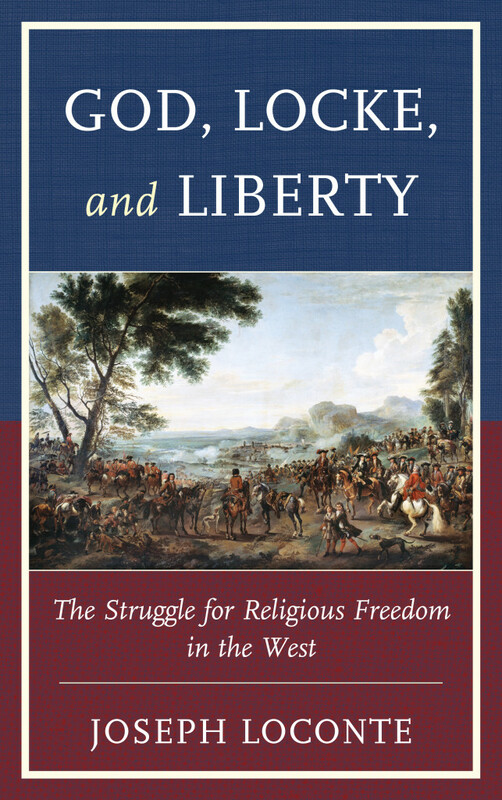 In God, Locke, and Liberty: The Struggle for Religious Freedom in the West, historian Joseph Loconte offers a groundbreaking study of Locke’s Letter, challenging the notion that decisive arguments for freedom of conscience appeared only after the onset of the secular Enlightenment. Loconte argues that Locke’s vision of a tolerant and pluralistic society was based on a radical reinterpretation of the life and teachings of Jesus. In this, Locke drew great strength from an earlier religious reform movement, namely, the Christian humanist tradition. Like no thinker before him, Locke forged an alliance between liberal political theory and a gospel of divine mercy. God, Locke, and Liberty suggests how a better understanding of Locke’s political theology could calm the storms of religious violence that once again threaten international peace and security. Click here to buy now from Amazon!